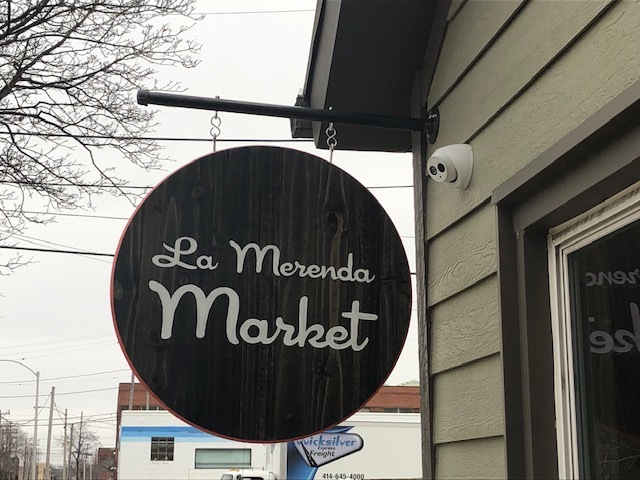 Welcome to the La Merenda Marketplace! 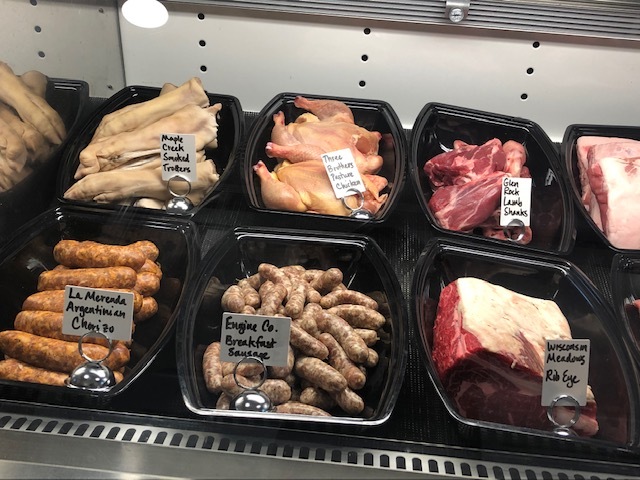 A place to purchase all of your favorite locally sourced meats, house made sausages, organic eggs, local cheeses, and more that you have enjoyed at our restaurants, Engine Company No. 3 and La Merenda. 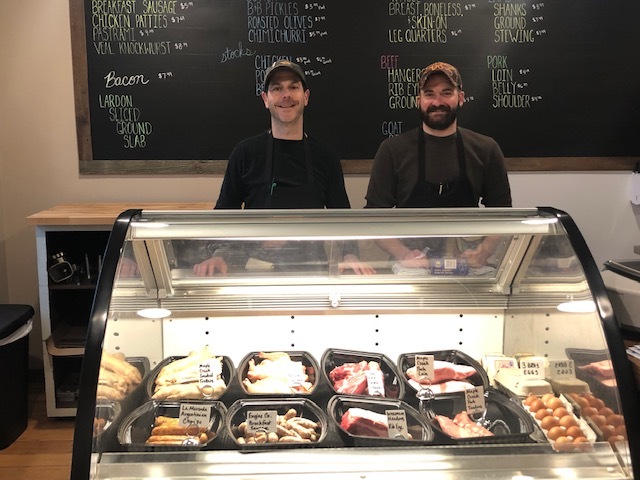 Owner, Peter Sandroni and Butcher, Danny Bolton take pride in providing sustainable, healthy food for the public while supporting dozens of local farms. Danny's love of butchery stems from his upbringing in Michigan's Upper Peninsula and grew through studying and working in kitchens across the country. Now, he is living his dream of a craftsman lifestyle with his own little storefront. Peter grew up cooking Italian food with his family, but after graduating from Marquette University with a political science degree, Peter unintentionally fell in love with cooking when he helped his aunt and uncle with their restaurant in Atlanta. Since then, he attended culinary school, traveled to many influential countries, and has now owned and operated La Merenda for 12 years and Engine Company No. 3 for four years. 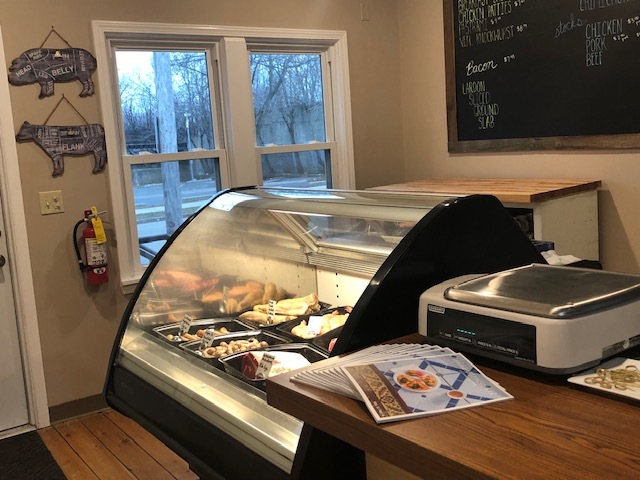 Three Brothers Farm in Oconomowoc, WI is a 100-acre farm owned by Michael and Courtney Gutschenritter and they provide us with beautiful roasting hens and pasture-raised eggs. Glen Rock Farm in Neshkoro, WI provides pasture-raised lamb for Peter’s famous Ossobuco and our lamb ragù. LaClare Family Farm produces delicious, award-winning goat milk cheeses and you can find their goat stewing meat at the Marketplace. 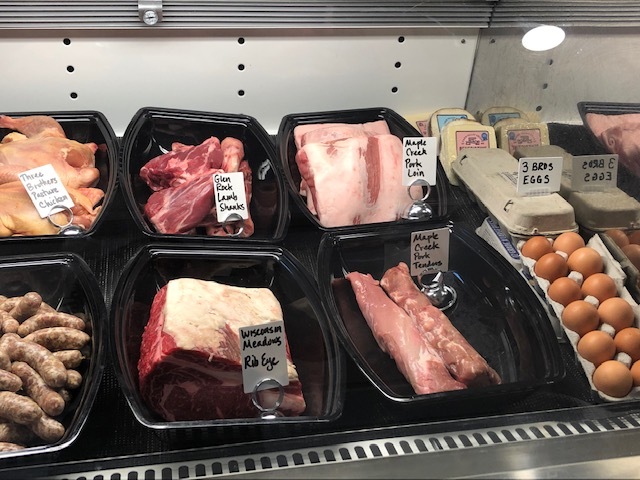 Wisconsin Meadows is a Cooperative made up of 185 Wisconsin family farms providing beef from cattle that is humanely treated and naturally-raised. Find a wide variety of beef cuts in our fresh meat case. All of our pork comes from Maple Creek Farms in Waukesha, WI where owner, Tom Mueller, has been raising pigs locally since 1975. Join us at the La Merenda Marketplace to see first hand the drive and passion for what Peter and Danny do. 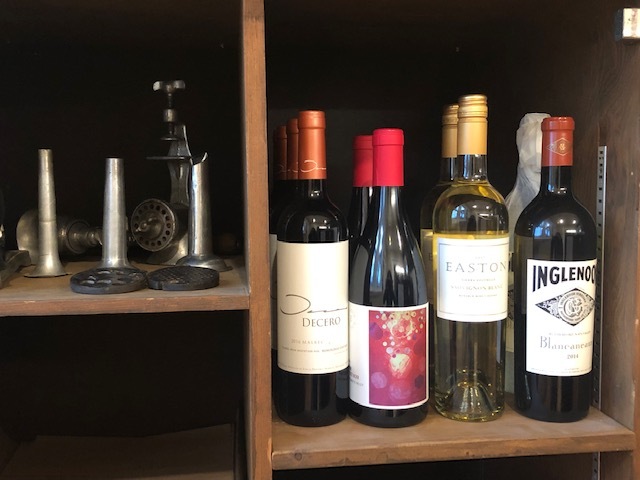 You won't be disappointed with our variety of meats, prepared foods, and even wine. See you soon!